I am so happy to be able to produce this Beautiful Girl Collection! If you have read any of my blog posts, you will know that I have gone through many difficult times, and because it is so hard sometimes to get past discouragement and despair, I can use all the encouragement I can get! 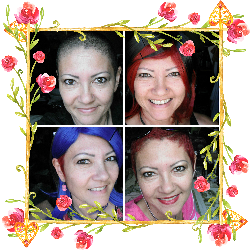 So I create things for me, to encourage myself, but then I want to share them in case they are encouraging to others. I hope to be able to encourage other flower lovers who need to persevere and fight in their lives with pretty and fierce messages of hope and victory. Whether you are battling illness, emotional traumas, or having to push out of your comfort zone and do some scary things, I pray my designs can encourage you. I have a freebie 4×6 PDF download of this design (my previous post – which is in my Resource Library which you can have access to by signing up in the box below), and I have it in a frame right now next to my bed to remind me that I CAN do hard things! But I really wanted to see my designs on t-shirts and mugs and notebooks, for starters, so I finally opened a Zazzle shop in order to do this. 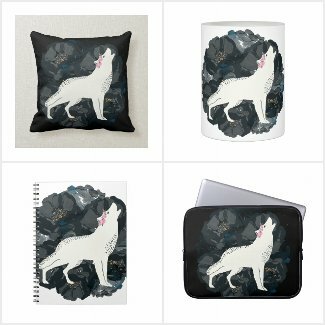 I have ordered some items from Zazzle, and I have been very happy with the quality, and thrilled to be able to have the ability to customize and have amazing choices to find things that are just my style. They have a 100% satisfaction guarantee and also a special deal for shipping called Zazzle Black that costs $9.99 for one year of free shipping. I will be posting reviews of various items in the future, so keep an eye out if you are interested! So now I introduce to you the Beautiful Girl Collection! I will be adding to this collection, but if you have any items you would like me to put up for sale, please send me a message and let me know! If you have any suggestions or requests, I am happy to receive them! Please leave a comment below, reply to an email from me if you are a subscriber, or come join me on Instagram! I will be adding to my collections, so if you would like to be notified of updates, and about NEW collections, please sign up for my email list below. I am working on various wolf and deer designs and many with warfare Scriptures right now. Thank you so much and mighty blessings to you! C’mon Beautiful Girl, let’s do hard things!